Join us as we explore the SeaWorld Orlando Park together for Valencia College Alumni Day! Your ticket will include complimentary parking, an all you care to enjoy picnic, and 1-day admission to the park. Multiple ticket options available. Tickets are limited so please reserve yours today! 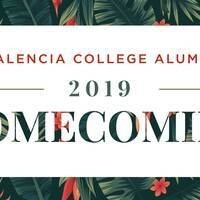 We look forward to seeing you at Homecoming 2019! We had a great time at SeaWorld with our family. Thanks.